When prepping your home for sale, one of the most important tasks is giving your walls a fresh coat of paint. The standard advice from most real estate professionals is to keep them neutral with shades of white. But as a home stager and an interior designer, I prefer to take a more stylish approach. Remember, the overall goal of home staging is to make each room feel fresh, inviting and neutral enough so that prospective buyers can imagine themselves living there. That doesn’t have to translate, however, to bland, boring and devoid of style. Sometimes white can work, but a greater concern is making sure the room doesn’t look too stark. These elegant, crowd-pleasing neutral paint colors can help you stage your home to perfection. As you consider these choices, keep in mind that to present your home in the right light, you’ll want to select a neutral paint color that coordinates with your furnishings and finishes. The following warm or dark neutrals can add style and while maintaining a mainstream look. Gray has been the new white for years now. But not all grays are created equal. 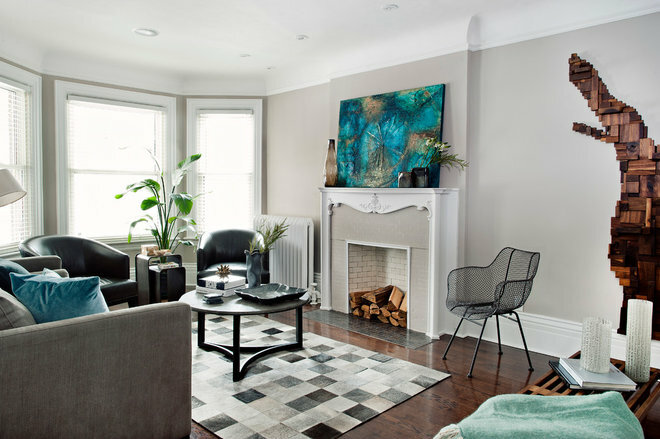 “Greige,” a pale gray with a beige undertone, is one of the most versatile colors for staging. Essentially a pale taupe, greige is a cool, sophisticated hue that can elegantly complement and add depth to a mostly white room. It’s great in both large and smaller spaces. 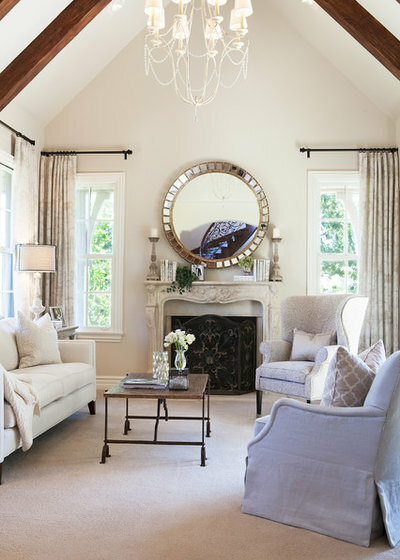 In this room, this go-to paint color for home stagers adds subtle contrast to the mostly white and beige palette. If the walls here were painted white, the space would have a starker look with less personality. I always refer to this type of blue as a grown-up turquoise. A warm medium blue with sunny undertones, bird’s egg blue is an elegant choice for living rooms, bedrooms and bathrooms, particularly when the rest of the room is white, beige or gray. A pale serene turquoise works well with both traditional and modern decor to create a soothing feeling in this room. This calm environment can have a positive emotional effect on potential buyers and allow them to appreciate the beauty of the space. In this large bedroom with textiles in shades of white, the pale turquoise creates a stylistic feature of the angled ceilings and beams while still giving the room a peaceful color palette. In this double-height living room, the cool character of the charcoal accent wall tones down the warm honey tones of the wood and brown sofa. It also gives the room a crisp modern feeling, coordinates with the clean, contemporary architectural lines and features the soaring ceiling, which is no doubt one of the selling points of this home. Let the sunshine in with a little golden yellow on your walls or fixed elements such as cabinets. 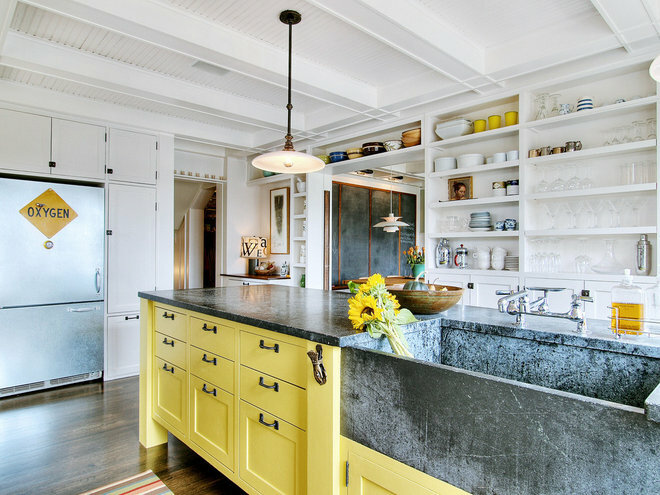 This photo shows how a cheerful yellow can add warmth to a mostly white kitchen; it works well with white or stainless steel appliances. In other rooms, such as a cozy bedroom or living room, this color’s sunny disposition can add a layer of charm to an otherwise blah color palette. It’s especially helpful in rooms that have low light, no view, or architectural features that cast dark shadows. The golden hues help eliminate a darker feeling and can distract from a bleak view. Look for a yellow that has a slight wheat or creamy undertone and that isn’t overly bright or garish. A mellow yellow coordinates with most wood hues, earth tones, blues and pastel colors. 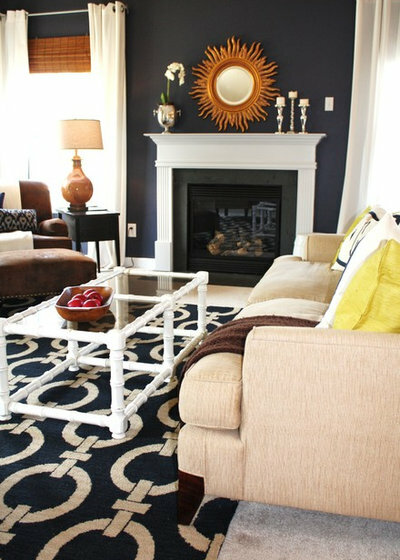 Navy blue is an excellent paint color to add sophistication, drama and a feeling of refined maturity to a room. Similar to charcoal gray, navy works well in a light-filled room or on a featured accent wall, particularly in smaller rooms or walls with architectural details like a fireplace. Coordinate navy with contrasting pale hues like whites, silver or beiges. 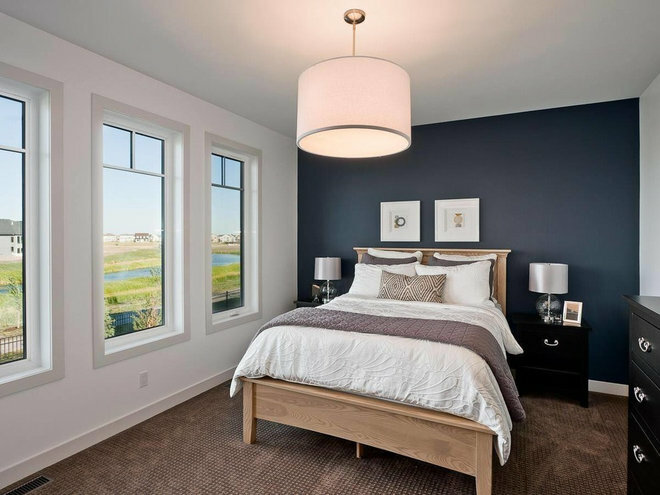 As seen in this beautiful bedroom, a navy accent wall gives an ordinary room a more designed and notable look. The dark wall not only creates a dramatic backdrop to the simple wood bed and white accessories, it also adds visual depth to that part of the room. 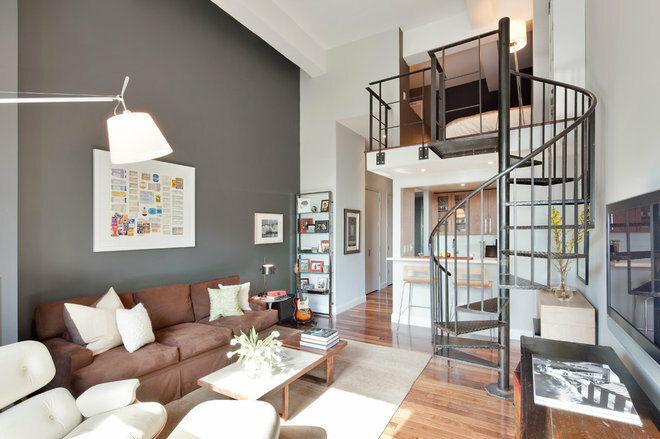 This is a clever design trick to help a room feel a bit larger or appropriately functional to a prospective buyer. If your walls are already a shade of white and adding a new color isn’t in your comfort zone, look to neutral creamy whites to give the room a warm and refreshing look. Creamy white has an undertone of pale beige or greige, without being too yellow. The added warmth can give a stark room a welcoming glow without adding color. Pair your creamy white walls with a whiter color on the trim, ceiling and fixtures. The ivory-toned walls in this bathroom, for example, create a subtle contrast between the cooler white of the bathtub and surround. 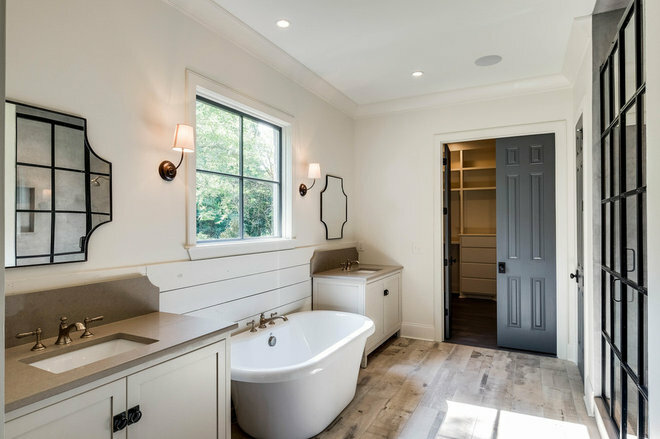 The effect in this rustic bathroom is a soft glow — something a paler or cooler white wouldn’t do. Please contact me for more free staging ideas!